1981 Chris-Craft 410 Commander Yacht ONE OWNER, YES ONE OWNER fresh water vessel that has been well cared for inside and out !!! Owners are ready for next chapter and regret parting with this classic motor yacht. OWNER SAYS MOTORS DO NOT BURN A DROP OF OIL ! 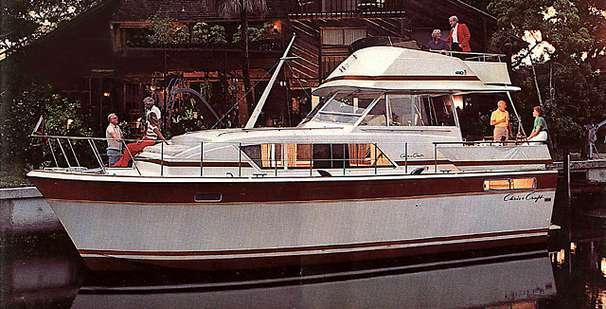 1984 Chris-Craft 410 Commander Yacht Anejo V is a beautifully maintained / restored and loved classic motor yacht. 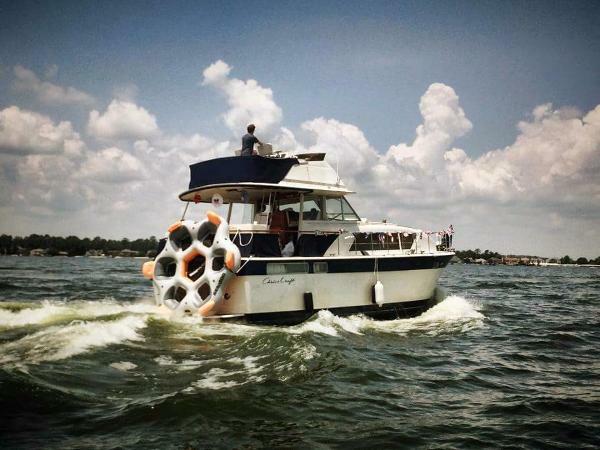 She is an entirely fresh water boat with an impressive shine and history. She has been kept in the Knoxville or Chattanooga area since new. The varnish is up and the stainless is in yacht condition. Easy to see in the Chattanooga Yacht Club. Third Owner. 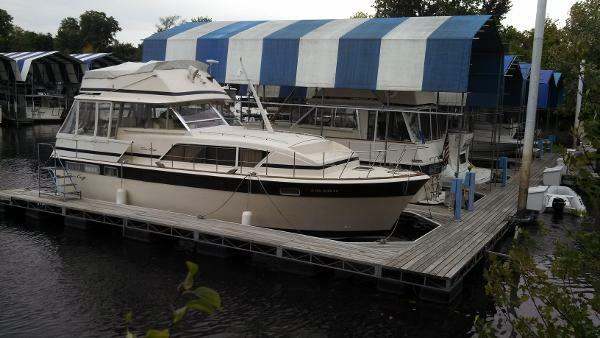 1978 Chris-Craft 410 Commander Yacht Major $10,000 Dollars Price Reduction. 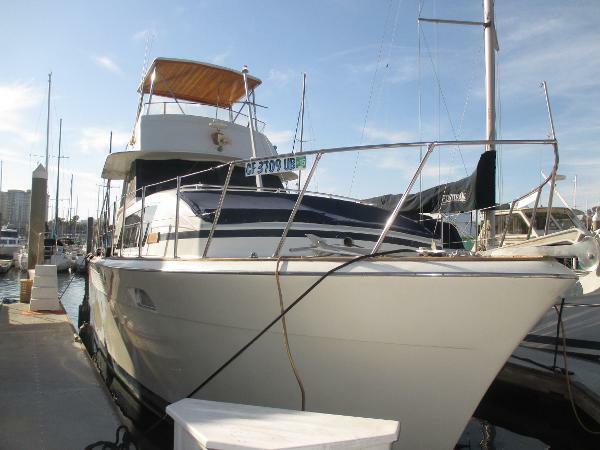 This Vessel represent one of the Best Condition Chris Craft Motor Yachts in the West Coast Market. With its classical look it is sure to Stand Out in the crowed. Beautiful and Elegant with All Wood Flooring Cabin. Custom Built Hard Top. 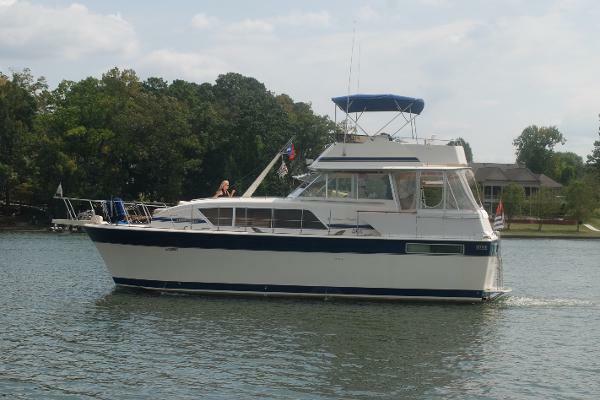 Spacious Salon , Large Fully equipped Galley, 2 Cabin and two head will make this Yacht a Great Live Aboard. Seller Had The Engines Serviced, Bottom Painted and it is ready for Cruising.